One by One, Ian and I conquer our dream destination in the Philippines. Sometimes we have no real and concrete itinerary; it was a classic case of "We do where our feet lead us." Those on our list include are the following with different stories behind our out of town trip. 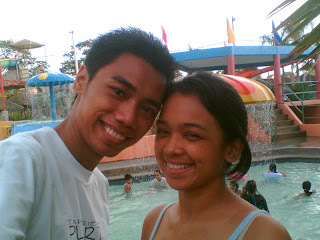 We are officially in a relationship for about 2 weeks and we both decide to have our 1st ever out of town trip last August 06, 2006. 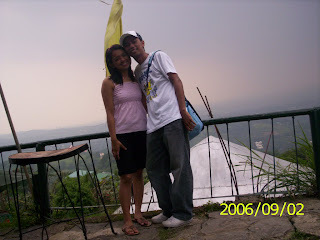 The easiest, coolest and romantic place to have some relaxation was the city of Tagaytay. Ian and I always celebrate Valentine's Day in a very special way. 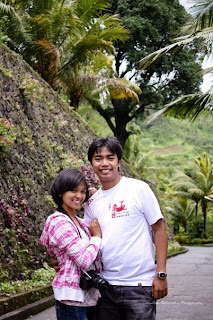 Last February 16-17, I decided to reserve 1 room for us in Royal Taal Inn. It was my surprise for Ian to have our Picnic Date at Palace in the Sky. He has no idea that I bought lots of food for our picnic date; I cooked Hotdog and Adobo for him with matching cold water place in a coleman. 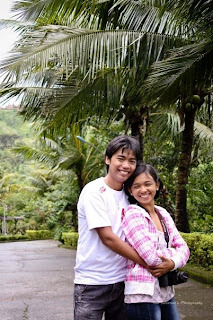 I told him that we will be having an overnight trip in Tagaytay to celebrate our post Valentine's Date. Then, we have our late lunch at Palace in the Sky, and then have some picture taking of course, then straight ahead in Picnic Grove to experience the horse back riding and at the same time try to take off a kite in the sky. 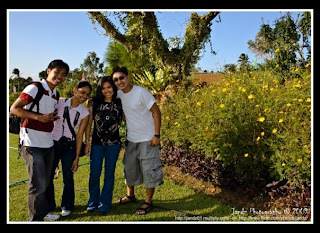 My friend Cha invites us to have photo shoot in Tagaytay. Actually, the original plan was to have a shoot in SMX for cosplay, however,upon checking to their website we found out that the event was ended last April 05, 2009, so we come up to a decision to shoot outside Metro Manila. 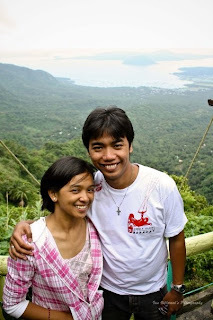 Tagaytay is the answer for that. Our first destination was Paradizoo, which we don't enjoy too much of the place since we arrived here late in the afternoon; we have limited time to explore the place since it will be closed after an hour. 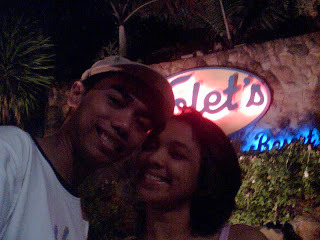 After our photo shoot in the zoo, we decided to have our dinner at Leslie's Bulaluhan. After our graduation day in 5 days Basic Photography workshop at FPPF, our classmates decide to celebrate in Tagaytay last September 05-06, 2009. Ate Elsie, offers the rest house of Kuya Mike's Boss. Of course, unlimited drinking session with getting to know each other game, makes our day complete. 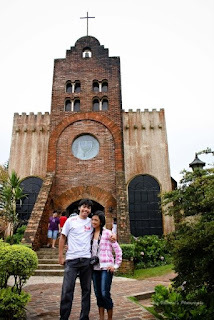 The following day, we choose to have our photo shoot in Calaruega, the famous church in Tagaytay. Then, have our lunch at Green ATS Bulaluhan. 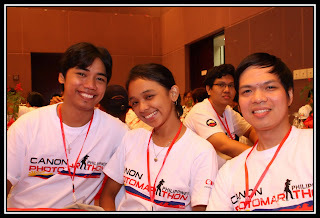 Ian, Emman and I joined the Canon Photomarathon held in Tagaytay Convention Center last November 14, 2009. 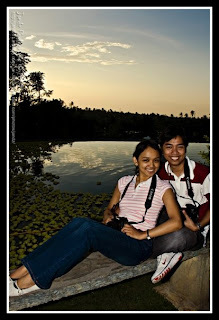 It is an event for all loyal Canon user who seems to enjoy the freebies given by Canon Marketing. It's an on-the spot photo contest where in they wil be given you 3 themes of a day and you have to submit it in a no-post processing image. It's also have free breakfast, am snack, lunch, merienda and dinner as well. 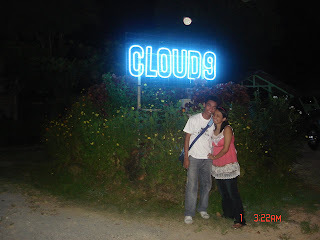 My officemates planned to have dinner at Cloud 9 in Antipolo City last September 01-02, 2006. 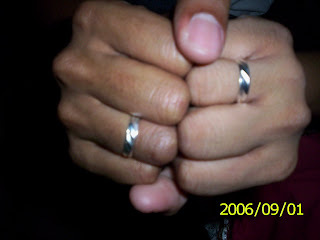 This is the night when Ian gave me our 1st ever bonding ring. Since we already celebrate our 1st monthsary by doing movie trip and dinner at North Park, we come to a decision to celebrate our monthsary in different way, swimming. 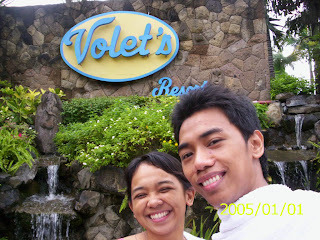 Ian suggests having fun in Volets in Cavite for a whole day trip last September 23, 2006. Actually, this is an unplanned out of town, our arrangement was to have an overnight trip in Great Eastern Hotel in Makati Avenue in celebration of our 9th monthsary. Since we have no idea that we need to reserved the room first a day before our check-in, I get disappointed that they cannot accomodate us. Ian has a quick solution to our problem; he suggests continuing our celebration in Volets last April 22-23, 2007. 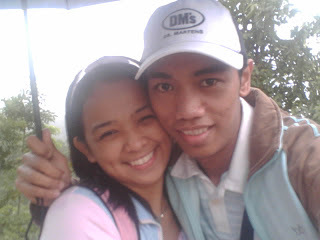 We then see ourselves riding in a bus going to cavite and enjoy the rest of the day with each other. 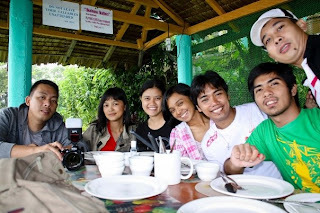 My officemates and I planned to have a weekend getaway last June 28-29, 2008. So I asked Ian if he has any idea where to spend our weekend with of course, budget wise. 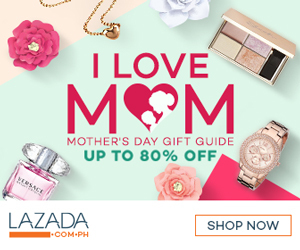 He offers his friend's house in Trece Martirez in Cavite. We went to a mini falls on 1st day, then hiking event on our 2nd day. 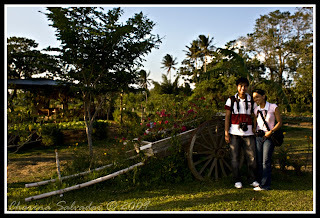 Kuya Benjie invites us to have a short getaway last May 29-31, 2009.So he offers us to have some break and try to discover the city of Dagupan. 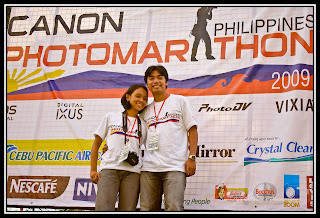 With my friend Olha and Ian, we left Manila around 9pm and arrived in Dagupan past 3am the following day. 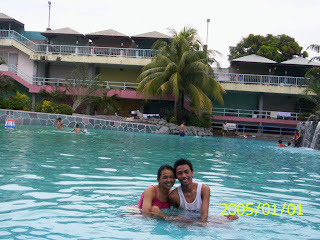 On our first day in Dagupan, we decided to go BEACH. 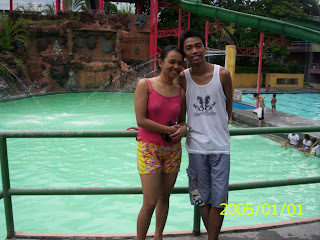 Definitely, Dagupan is also know for surfing capital. So Olha, Ian and I, really enjoyed playing with the big waves. 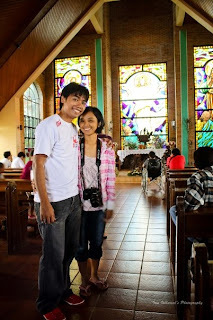 On our second day in Dagupan, we make a decision to hear mass at Manaog Church located in Pangasinan.